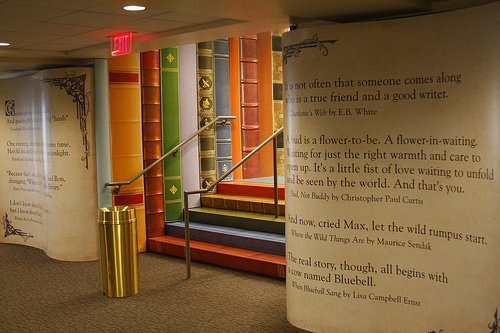 Spain’s Playoffice, a child-centric design firm, created the “reading net” in an attempt to making reading more fun for kids. 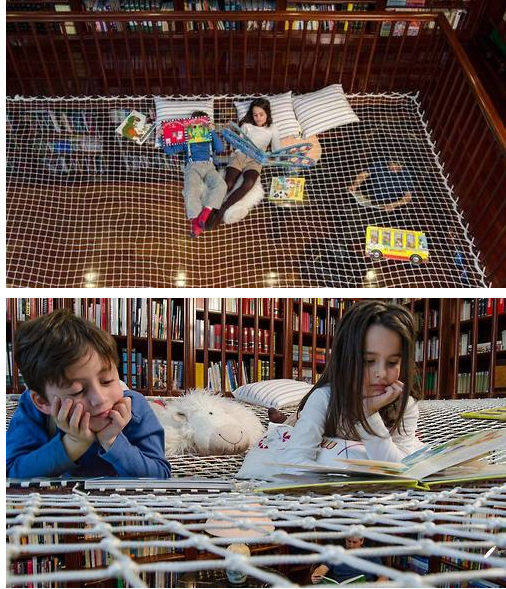 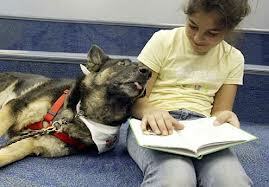 The “reading net” stretches across the length of a library room, and kids can play on it in between chapters. 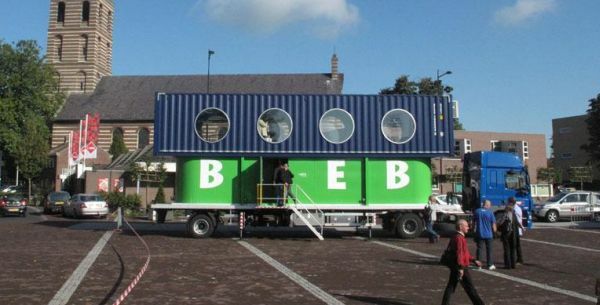 Mobile libraries are not a new concept — but this converted shipping container that can transform to double its size certainly is. 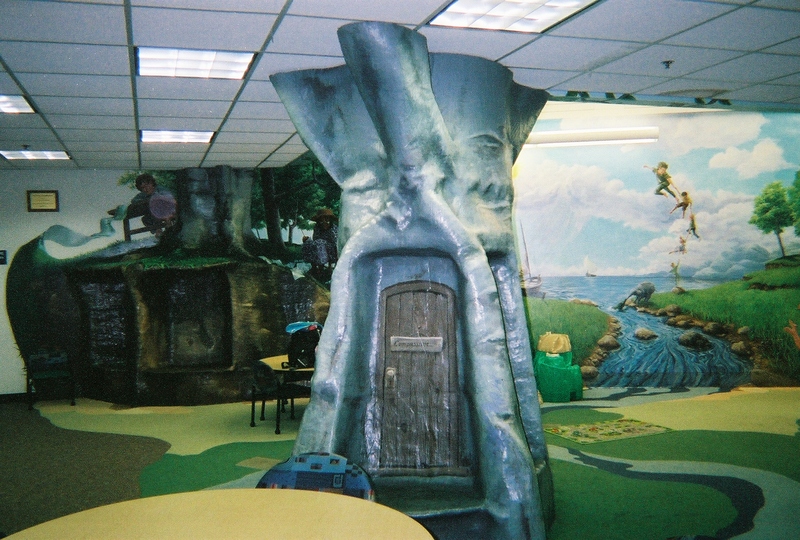 Conceived to help support local Dutch schools that lack the funds or space for a library, the BiebBus can pull in, pop up, and let kids participate in a parable or two. 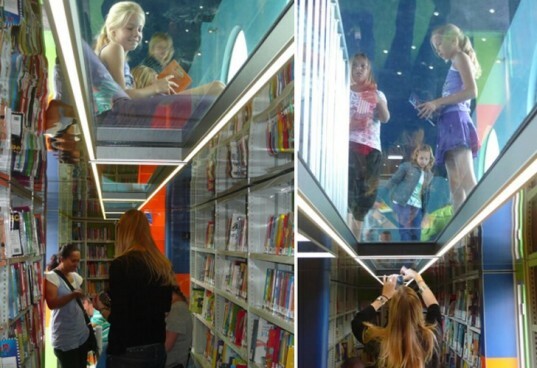 The design is also a lot of fun — with a transparent floor, cool lights, and huge portals for kids to see out, the BiebBus makes kids excited to grab a book, kick back, and explore the written word. 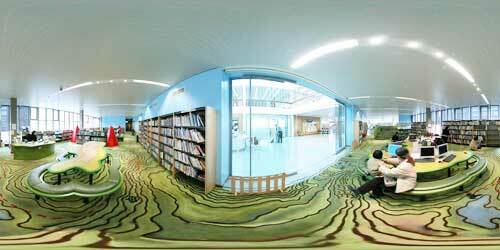 The fun design uses a transparent floor to help light the lower section of the library and let adults keep an eye on the youngsters above.